Would you like to know how to watch Strictly Come Dancing series 16 online? This post will explain how you can live stream Strictly Come Dancing, abroad, for free. We’ll also explain how a Virtual Private Network (VPN) can help you unblock geo-restricted platforms and the best VPNs to use. Strictly Come Dancing’s 16th series began with the launch show on September 8, but now that the live shows have begun, new episodes will air every Saturday at 6:40 PM BST (10:40 AM PST / 1:40 PM EST) and Sunday at 7:45 PM BST (11:45 AM PST / 2:45 PM EST). Below, we’ll explain how you can catch every moment of the action live, from wherever you are in the world. This post will only be recommending official sources. Popular TV shows almost always have unlicensed streams, but these come with several disadvantages. Firstly, they’re usually low-resolution, and second, they run the risk of being taken down partway through for copyright violation. Since Strictly Come Dancing can be watched completely free, there’s nothing to gain by using unofficial streams. VPNs offer an easy method to protect yourself online. They encrypt your network traffic, making it unreadable by your internet service provider, hackers, and network administrators. There’s another advantage too: VPNs enable you to spoof your location and beat regional blocking. We recommend ExpressVPN; with high speeds, an extensive server network, and the ability to unblock platforms like BBC iPlayer and Netflix from abroad, it’s excellent for streaming. Signing up is easy and only takes a minute: just choose a subscription period (one, six, or twelve months) and pay. ExpressVPN offers a 30-day money-back guarantee, so you can test the service out and cancel for a full refund if unsatisfied. This also allows you to use ExpressVPN for free, short-term coverage, which is useful if you’re going out of the country on vacation or trying to watch one specific event. 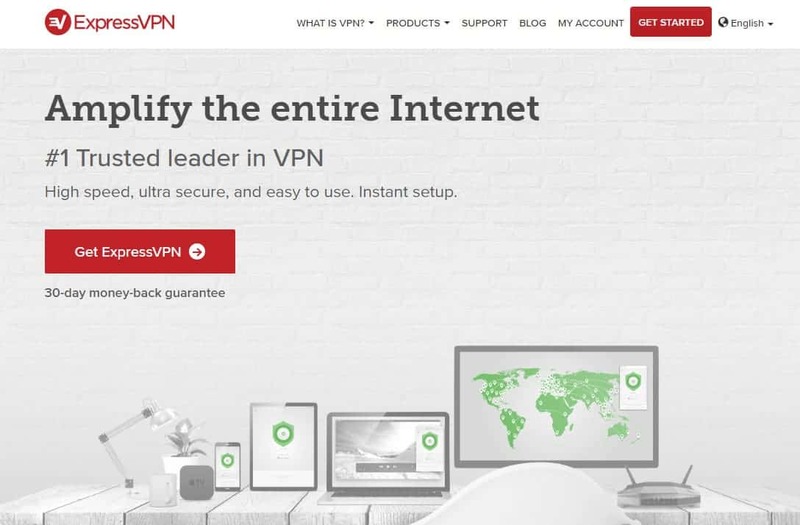 EXCLUSIVE DEAL: Save 49% and get three months extra free with ExpressVPN’s one-year subscription. This reduces the cost to just $6.67 per month. First, choose a suitable VPN. 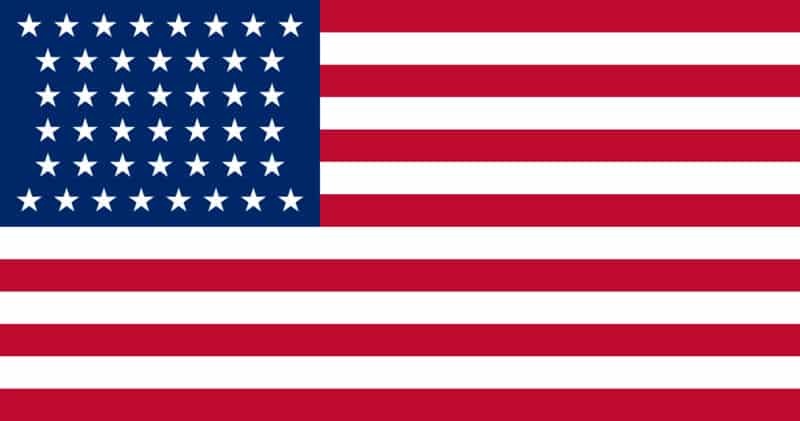 We mentioned ExpressVPN above, but NordVPN and CyberGhost are two similar, low-cost alternatives. Install the VPN software on your device. There will be a few different versions, so be sure to get the right one for your operating system. Choose one of the official sources from the list below. Connect to one of your VPN’s servers in the appropriate location. For instance, you’d use a UK server to unblock BBC iPlayer or a US server for ABC. Try streaming video from your chosen source. It should load immediately, with no noticeable buffering. Note that you may have to reload the page or restart your browser to see any changes. To ensure you don’t miss anything, we recommend performing the steps above before Strictly Come Dancing airs. This way, if your VPN doesn’t work as expected, you’ll have plenty of time to contact customer support for help. BBC iPlayer has particularly advanced geo-restriction features, but even if it updates and blocks your VPN, support should be able to direct you to a working server. Strictly Come Dancing airs on BBC One in the UK. The good news is that you can watch new episodes for free on BBC iPlayer. Bear in mind these are only available for three months, you won’t be able to stream previous seasons. It’s also worth noting that UK law requires you to have a TV License in order to watch Strictly Come Dancing via BBC iPlayer. This is easy to accidentally overlook, though, as the platform only displays this information in a popup and doesn’t have any verification in place to check that the user is actually allowed to watch. During registration, you’ll also be asked to enter a UK postcode, but this isn’t used to check your location. 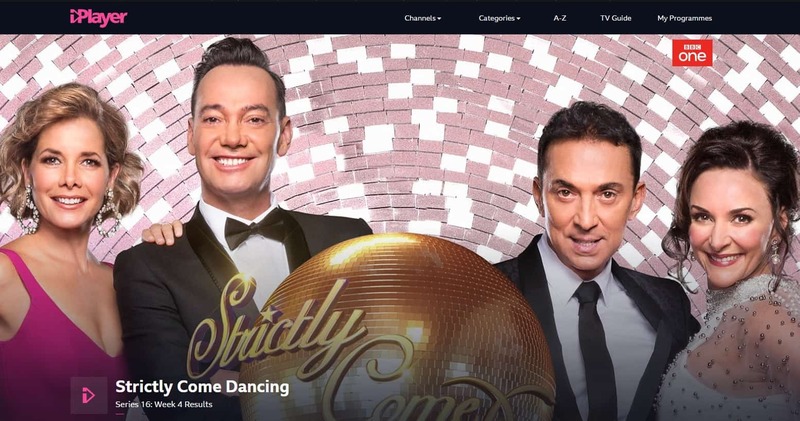 While older seasons of Strictly Come Dancing aren’t included in any major streaming service, you can still watch some of them online if you’re willing to pay. Amazon, Microsoft, and iTunes currently offer the last few seasons for £12.99 each, and select episodes from season one are available on the Google Play Store. There is currently no way to stream seasons 2-13 online. America’s take on the series is called Dancing with the Stars, and recently begun its 27th season. New episodes are shown every Monday on ABC at 5PM PST / 8PM EST. To watch the live stream or the latest episode of Dancing with the Stars, however, you’ll have to sign in with your cable provider details. If you don’t have cable, you can also log in via Hulu, DirecTV Now, PlayStation Vue, or YouTube TV. Hulu is by far the least expensive way to watch; prices start at $5.99 per month, and a free one-month trial is included. You can watch all but the most recent episode of season 16 for free, without registration, although ABC geo-blocks its content, so you will have to be in the United States or connected to a US server. 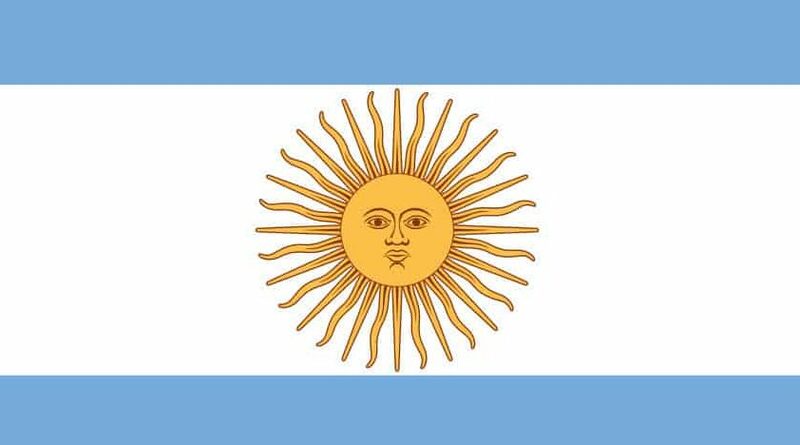 In Argentina, the show is known as Bailando por un Sueño (Dancing for a Dream), and just started its thirteenth season. Every episode is available for free, on-demand on El Trece, and viewers can also watch live with no registration or payment required. While El Trece doesn’t region-block its content, we still recommend connecting to a VPN when using the site. Some internet service providers have been known to intentionally limit their customers’ speeds in a bid to discourage streaming. Your activities are obfuscated while using a VPN, so throttling becomes harder for them to justify. 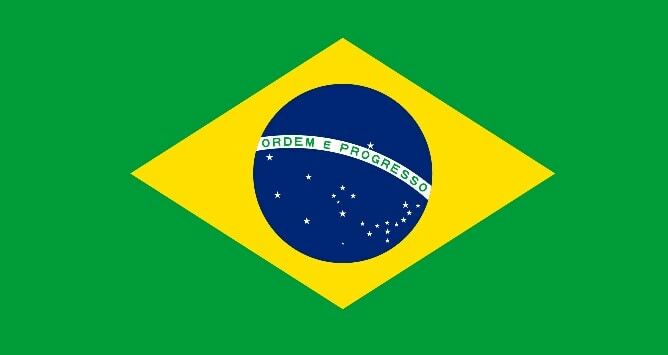 Brazil’s regional spin-off is called Dancing Brasil. Its fourth season premiered on September 26, and new episodes are broadcast every Wednesday on Record TV. Select episodes are available for free, but to watch live, you’ll have to sign up for PlayPlus. This streaming service costs R$12.90 per month but offers a 30-day free trial. Danse avec les stars began its ninth series on September 29th. Future episodes will air at 9PM on TF1. You can watch Danse avec les stars live or on-demand for free, although you will have to create an account first. As TF1 uses geo-blocking, you’ll also have to either be in France or connected to a French server in order to watch. More than 40 countries have (or have had) their own version of Strictly Come Dancing. There are far too many to cover individually here, but if your country isn’t listed, you might find it in the list of international Strictly Come Dancing variants. This list also tells you where you can watch and if the show is still running or not. Can I stream Strictly Come Dancing with a free VPN? Free VPNs can seem appealing at first glance, but in reality, they have significant flaws. First and foremost, they’re unsuitable for streaming live HD video. These services often struggle to accommodate vast numbers of users, so you can expect long loading times and choppy playback, if the video starts at all. Additionally, the BBC’s geo-restriction measures are especially advanced, with most free VPNs incapable of unblocking BBC iPlayer at all. You might ask yourself how a free service can afford to maintain its network. Many free VPNs generate income via ads, but you make the company money whether you click them or not. By storing tracking cookies on your system, these services can harvest a wealth of data about you, which can then be sold to the highest bidder. This is exactly the opposite of what a VPN is intended for, and by sharing your information, free VPNs actually undermine your attempts to remain anonymous online. Unfortunately, there’s no easy way to tell if you’re using a legitimate VPN or just a Trojan. In 2015, a study showed that of 283 free VPN apps for Android, almost 40% included malware, and 18% didn’t encrypt any user traffic whatsoever. This is a relatively small sample size, so we can reasonably assume there are many more dangerous apps out there. Even well-known free VPNs have been known to act shady, with one in particular caught selling its users’ idle bandwidth to help run a botnet. The best way to protect yourself online is to use a reputable VPN service which puts its users’ privacy first. As ever, this year’s Strictly Come Dancing pairs celebrities with professional dancers to see which couple can impress the judges (and general public) most consistently. Take a look below to find out exactly who’s taking part in season 16.